Turning five is definitely cause for celebration, and Abrand Jeans are gearing up for a big one. Think you’re too old to attend a fifth birthday party? Think again. Abrand have just announced they’ll be throwing an epic party at Max Watts Thursday, November 22nd. 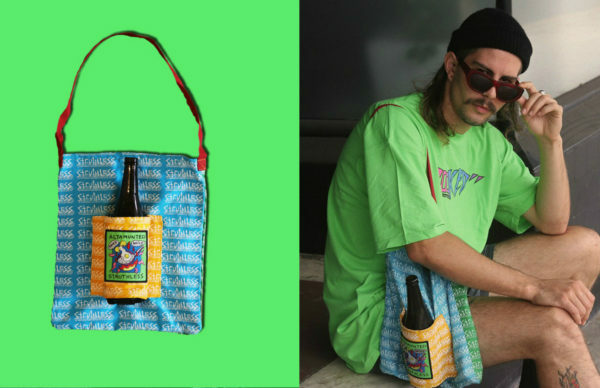 Boasting a killer line up with Jesse Porsches (Super Cruel), electro producer Tori Levett, Shayne Tino (who has fronted the latest Abrand campaign), and Danny Clayton to round it out. 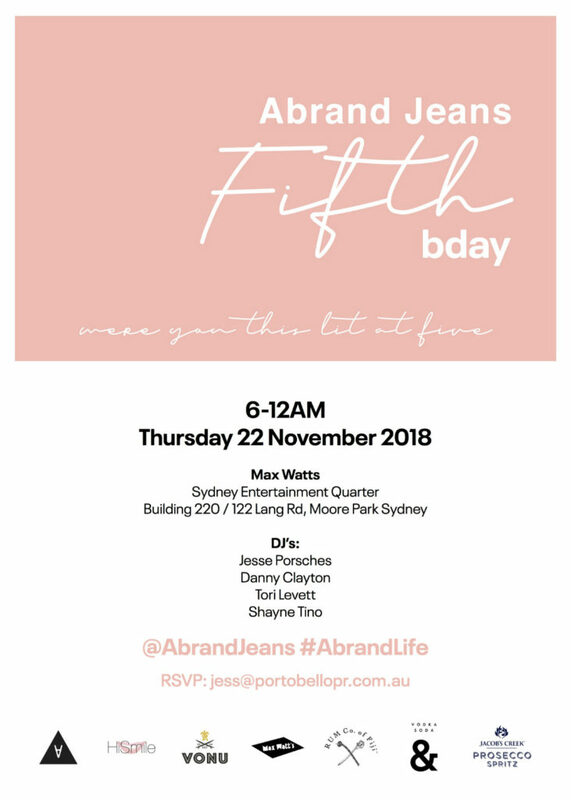 And, unlike any other fifth birthday party you’ve ever been to, Abrand will be providing loads of adult refreshments courtesy of Vodka Soda &, Vonu Beer, Rum Co. of Fiji, and Jacobs Creek Prosecco Spritz, so you can count on the drinks flowing well into the night. All you have to do to get your name on the door subscribe to Abrands newsletter and be following @Abrandjeans on Instagram, easy right? That’s not even the best part! 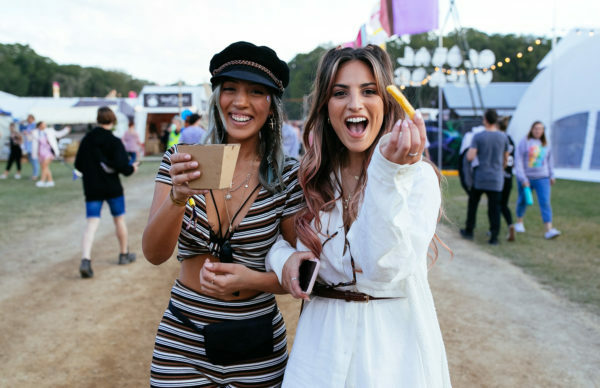 While you might be used to taking gifts to birthday parties, Abrand have decided to turn it all around, giving away prize pack worth over $3000 including VIP tickets for you and your squad to Abrand’s 5th Birthday, flights and accomodation in Bondi, as well as prizes from Hi Smile, Sol Sana, Benefit Cosmetics, Sunny Life, GoPro and of course a stack of denim from Abrand. Just subscribe to Abrands newsletter and be following @Abrandjeans to go into the draw for this huge prizepack. The event is strictly 18+. Head to Abrand on Instagram for updates.